Crunchy wheat bran flakes to be eaten for breakfast, milk or yogurt. 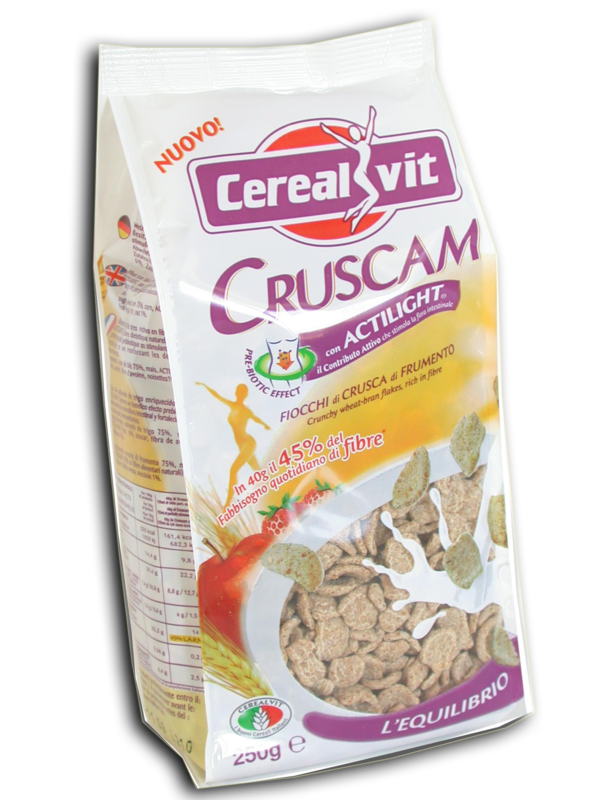 Cruscam is the bran cereal with the highest FIBER content. In fact, in 40 gr of product there is 45% of the average daily fiber requirement. 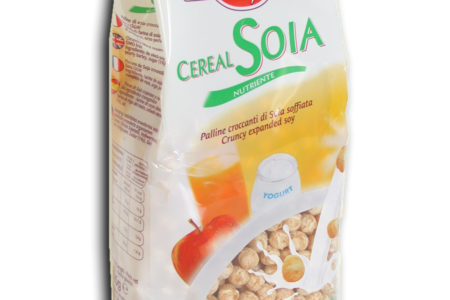 Cruscam is also the cereal with the lowest sugar content (only 7%) to the benefit of the line and health. From today the great news is that Cruscam, thanks to the addition of an active fiber obtained from beet, is also the only cereal that can generate a beneficial PREBIOTIC effect, which helps to regenerate the intestinal microflora and to strengthen the immune barriers of our body . In fact, a daily dose of 40 grams of Cruscam provides a content of F.O.S. c.c.c (Short-chain oligosaccharide fruits) of 2.5 grams, which, as shown by numerous clinical tests, after a few days are able to stimulate the increase of bifidobacteria in our intestine. 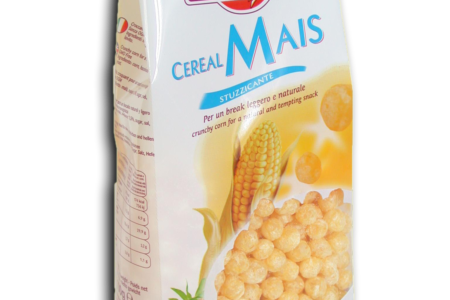 Cerealvit’s Cruscam is ideal for those who want to stay in line and regularize the lazy bowel. It is effective for the health of the intestine because it helps to keep it active thus favoring the well-being of our body. FIBRA is useful to our body because it is not assimilated and has the ability to absorb a lot of water during transit through the digestive tract. By absorbing water, the fibers increase in volume, so at the level of the stomach they give an anticipated sense of satiety without bringing calories, while in the intestine they stimulate intestinal function. It is therefore important to consume a good quantity of water together with the fibers. The oligigosaccharide fruit is a fiber extracted from the root of the beet, belonging to the category of PREBIOTICS. After the intake the oligosaccharide fruit activates the intestinal peristalsis and allows a better evacuation of the faeces. But the most interesting aspect is to stimulate in a specific way the growth of bifidobacteria, thus increasing the protective and purifying protection of intestinal mucous membranes. The oligosaccharide fruit also helps reduce intestinal absorption of fats and sugars. 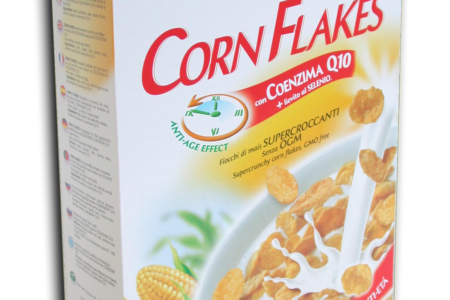 The traditional Corn Flakes of the English breakfast, for light and nutritious breakfast for the whole family.